Mondays: Digital Drop-In. 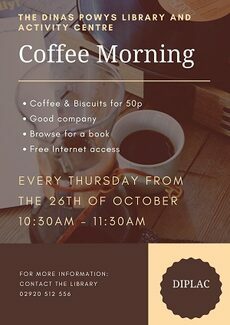 Newydd, Communities First and VOG Council are running free IT 'how to' sessions in libraries on Mondays 10am to midday. "1-2-1 sessions so we can work with individuals". Call Keith Hatton to book a place 077-4982-5751 or speak to library reception. Mondays: Lego Club. Lego and board games for 7-11 year olds. 3.15-4.30pm. 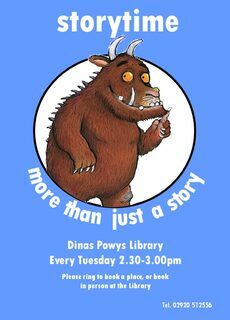 Tuesdays: Storytime for pre-school children. 2.30-3.30pm. Book at reception or phone library 029 20512556. Wednesday: Lego Club. Lego and board games for 7-11 year olds. 3.15-4.30pm. Look out for details of other clubs and events on the library noticeboard. 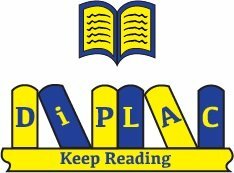 DiPLAC has its own 100 club: join for a year (£12) and be in with a chance of winning monthly prizes. Ask for an application form at the library.